10 pcs. 0,63 EUR ea. from 40 pcs. 0,52 EUR ea. from 80 pcs. 0,48 EUR ea. 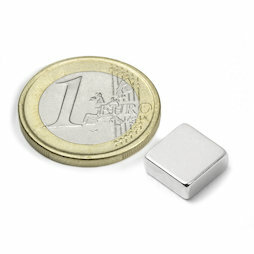 These block magnets have the right size for attaching postcards to a glass magnetic board for instance. 5 pcs. 0,81 EUR ea. 5 pcs. 0,79 EUR ea.